Partagas Serie D No.5 from Partagas was first released as a Limited Edition in 2008 and has since been the most popular Partagas Limitada. 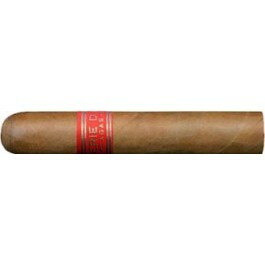 All the flavors of a Partagas Serie D No.4 are condensed in this smaller vitola, 4.3" x 50 ring gauge, which makes it a go-to cigar for the Partagas Serie D No.4 lovers who are looking for a quick smoke and still enjoy all its taste. It is complex in its flavor profile and would be a great cigar for anyone. The aroma and flavor are well balanced and highly enjoyable.